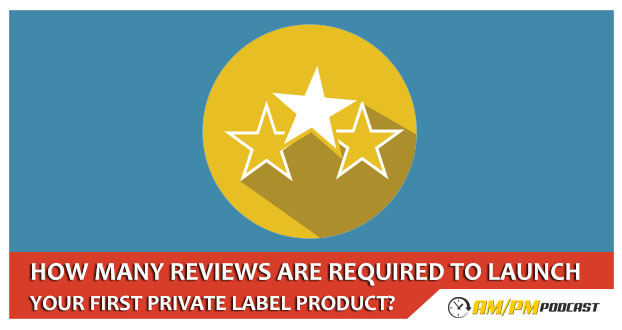 How many reviews are needed to launch a private label product on Amazon? What review service should I use for my product? 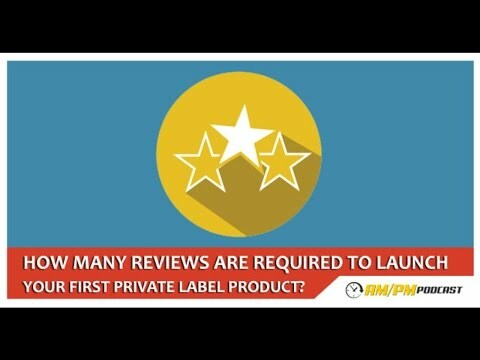 EP41: How Many Reviews Are Needed To Launch A Private Label Product On Amazon? One of the most asked questions is ‘How many reviews do I need on my product page, on my account before I start running Pay Per Click?’ It depends – you have to look at a lot of data. You don’t need more reviews than your competitor necessarily, you can launch with two reviews if you want. I launched my product without reviews and got them organically, slowly. I only had one competitor with very few reviews themselves. Look at your competitors – if you’re in a popular category with competitors with 500 reviews, I’d probably say to start with around 50 to 75 reviews to not make it look like you just start out. They’re not going to choose you unless your product stands out. If you have an insane product that looks fantastic and there’s a perceived value of your product, you won’t be needing as many reviews because your product is setting itself up. If you’re running Pay Per Click and someone sees your ad on the first page and you want them to click on your ad, you’ll have to have some number of reviews – a percentage of what everybody else has. I’d recommend to get as many reviews as you can, as quickly as you can, whatever is within your budget. If you can set aside 50 or 100 units during a launch, do that. Listen to EP24 – the Manny Coats Launch Strategy for products on Amazon – I go through my launching strategy for a product. We also talk about reviews in there. When you’re launching a product you have to look at your competitors, who, what they’re selling, what they’re doing and I’d say 5 reviews are enough to launch on Pay Per Click. Think outside the box, looking at your market and product. What review service should you use? Review services are fast and you can get a lot of reviews quickly but you’re putting your product out there – everybody can see your product for which you need reviews. You don’t want to announce it to all the Amazon sellers. The ideal thing is to build up your own group of reviewers know to your category. It takes time but it’s a list that you can e-mail at any point or add to s special group you create. Also try to get video reviews, it will say a lot more about your product. If Amazon accidently sends the wrong product to a customer and you’re unsuccessful in trying to remove a low rating, leave a comment so the next viewer can see that there’s some comments and read, and keep them from running away.